MANILA, Philippines – Simon Camacho still remembers how real the struggle was for Adamson University a mere three years ago. It was his rookie season, and the Soaring Falcons were the worst team in the UAAP. They opened the Season 78 tournament with six consecutive losses, and ended up with just three wins. They missed the Final 4 for the fourth straight year, and their coach, Mike Fermin, left at the end of their campaign. "We were not that good," Camacho said bluntly of their team back in Season 78. As a first year player, he appeared in just nine games, and averaged 1.0 point and 1.9 rebounds. The difference between Adamson's situation in Camacho's rookie season, and now that he is a four-year veteran, could not be more stark. Decorated head coach Franz Pumaren took over their program after Season 78, and the Soaring Falcons went on a stunning turnaround in Season 79, where they made the Final 4 as the No. 4 seed. They were back in the semifinals a year later, and on Wednesday, they sealed a third straight semis appearance by beating University of Santo Tomas (UST), 96-83. "Hindi ko naman ine-expect na ganito," said Camacho. "Naaalala niyo naman 'yung first year ko." 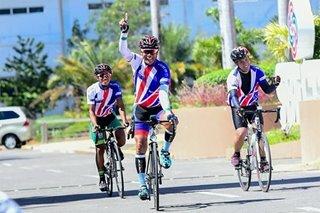 "Pero ngayon, 'yung three years naman kay Coach Franz, sobrang iba ng pakiramdam, sobrang saya," he added. Now, Adamson is considered a true contender. At 9-3, they have the second-best record in the league, just behind defending champion Ateneo de Manila University (10-2). They are firmly on track for a twice-to-beat advantage in the Final 4. "Last two years, nag-Final 4 kami," said Camacho. "Nage-aim kami ng mas higher ngayon." When speaking of Adamson, plenty of credit has rightfully gone to Pumaren, who engineered the revitalization of their program. Their star players – shooting guard Jerrick Ahanmisi, and hyper-athletic forward Sean Manganti – have also played a huge role. But Camacho has been just as integral to Adamson's success, especially in Season 81. In the first round, he helped the Falcons fend off an upset-minded National University team by scoring 8 straight points in what turned out to be a 63-58 win. In their 64-51 triumph over University of the Philippines in the second round, it was his hustle that led to Papi Sarr's game-icing dunk. Even in losses, he has impressed: Camacho grabbed a team-high 14 boards in their 62-48 setback to the Blue Eagles last Sunday. And when they bounced back against the Growling Tigers on Wednesday, the veteran showed he can contribute on offense, too, dropping a career-best 15 points. "Ang sa akin, accept ko lang talaga ang role ko," said the Cavite native, who is averaging 5.8 points and 7.3 rebounds per game this year. "Inaantay ko lang talaga 'yung game na dumating sa akin," he further explained. "Yung points, hindi ko naman ine-expect na darating agad." "Kumbaga, patience lang talaga, then rebounds, yun ang importante sa akin. Rebounds, defense, blocks," he added. 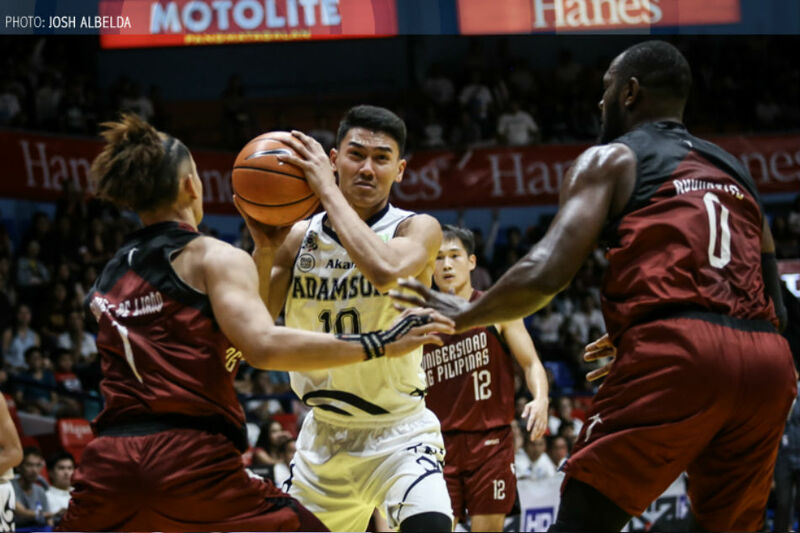 He has fully accepted his role as Adamson's glue guy, the player who sparks the team with his hustle and creates extra possessions with his knack for offensive rebounds. "'Yun naman talaga ang role ko diyan, 'yung to help the team," he says. "Para mapaganda ang takbo ng team. 'Yung sa rebounds, parang napu-push namin ang bola." Camacho is also grateful to Pumaren and the Adamson coaching staff, who gave him a chance to keep playing for the Falcons after his topsy-turvy journey in college basketball. "Marunong talaga sila mag-develop ng players," he said. "Siguro 'yun ang nangyari sa akin. Na-develop nila 'yung real potential ko." Though the memory of Adamson's struggles in Season 78 is still at the back of his mind, Camacho is now looking forward to helping his team make a new breakthrough in Season 81. "Ngayon ang importante sa amin is maipanalo namin lahat ng games," he stressed. "Lahat ng teams, hindi namin dapat i-take ng lightly. Dapat lahat i-take namin as a great team para maglaro kami ng maganda." Their next order of business is University of the East on Saturday at the Araneta Coliseum.